When Rence suggested we go to ‘The Walk at JBR’ for our Friday pasyal, medyo nalito ako. 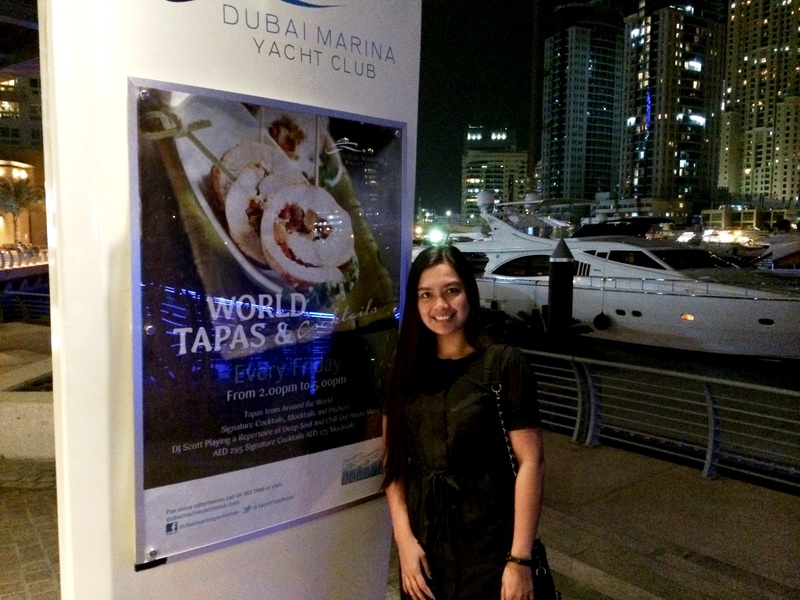 All this time, akala ko nasa Dubai Marina ang The Walk. 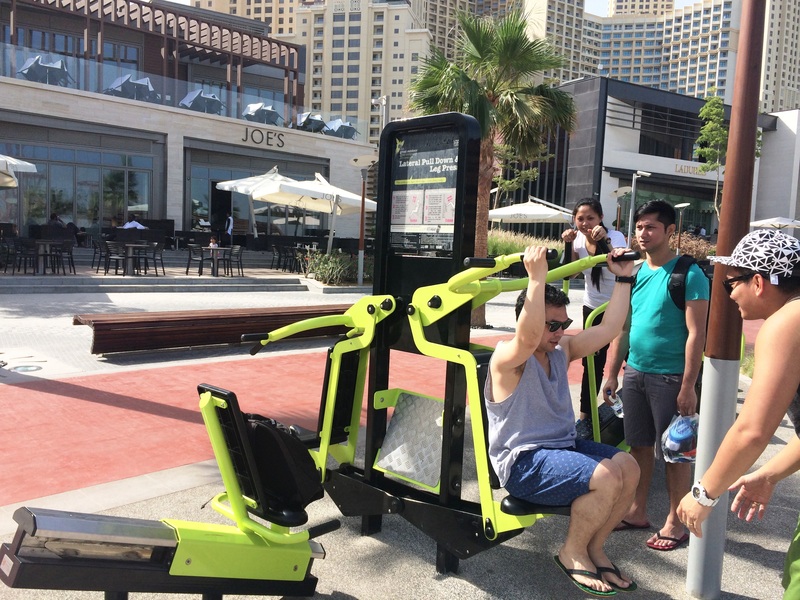 Yun pala, Marina Walk and The Walk at JBR are two different places. Magkalapit sila pero totally not the same thing. Hay, pareho pa kasi ng pangalan e. Diba pwedeng ‘The Run’ or ‘The Jog’ nalang yung isa? Lol! 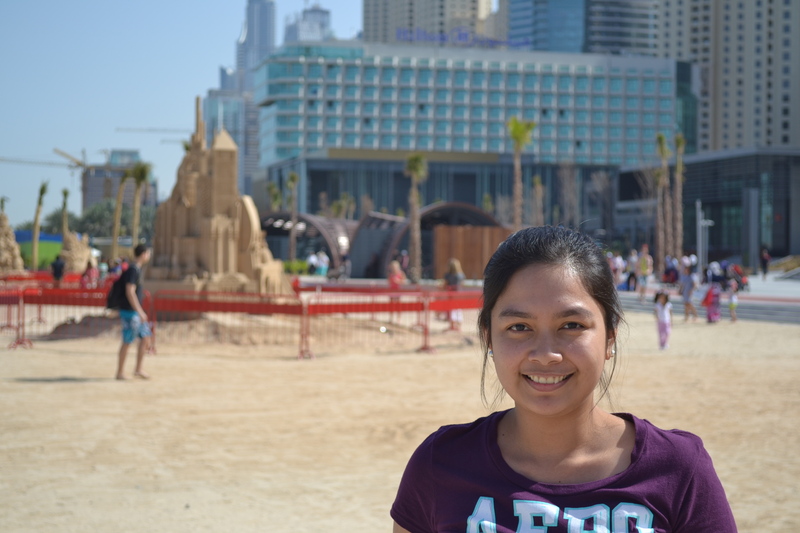 Tapos sa JBR, merong The Beach and Open Beach. Magkaiba daw yun. San ba talaga kami magsswimming? So para sa mga nalilito kagaya ko, read more. 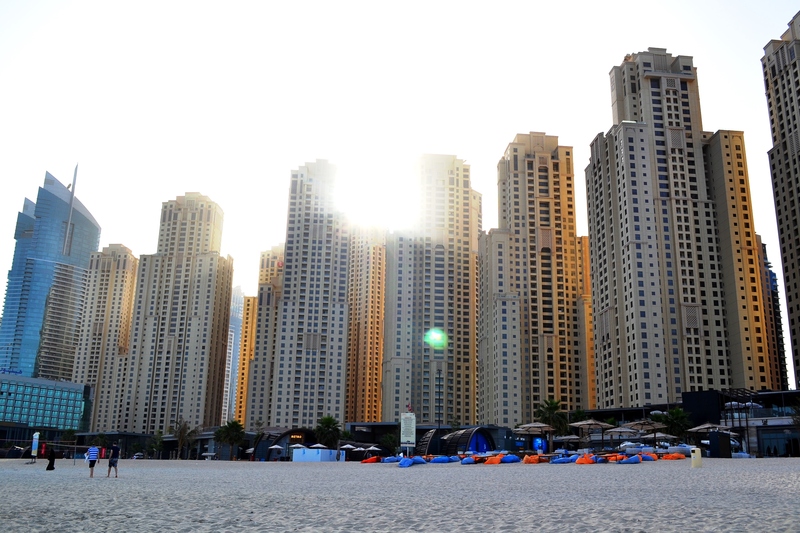 Marina Walk is located in the heart of Dubai Marina. 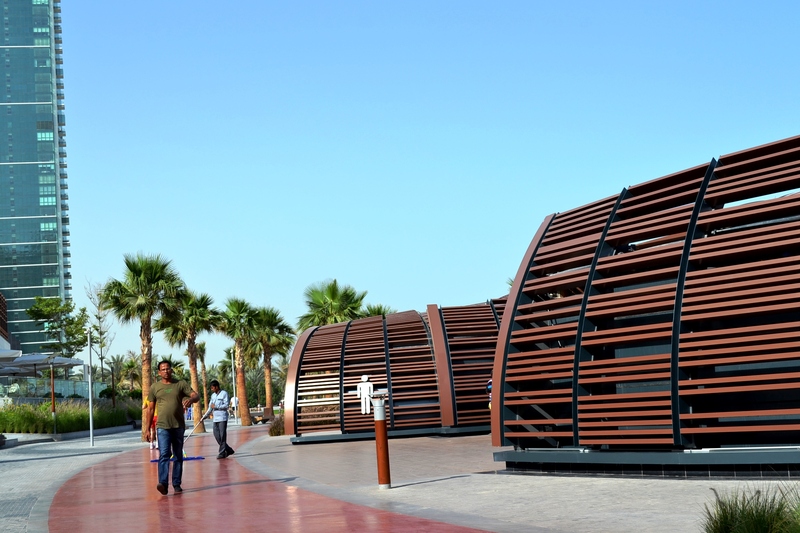 It is an outdoor promenade with more than 300 food & shopping establishments catering to residents and tourists alike. 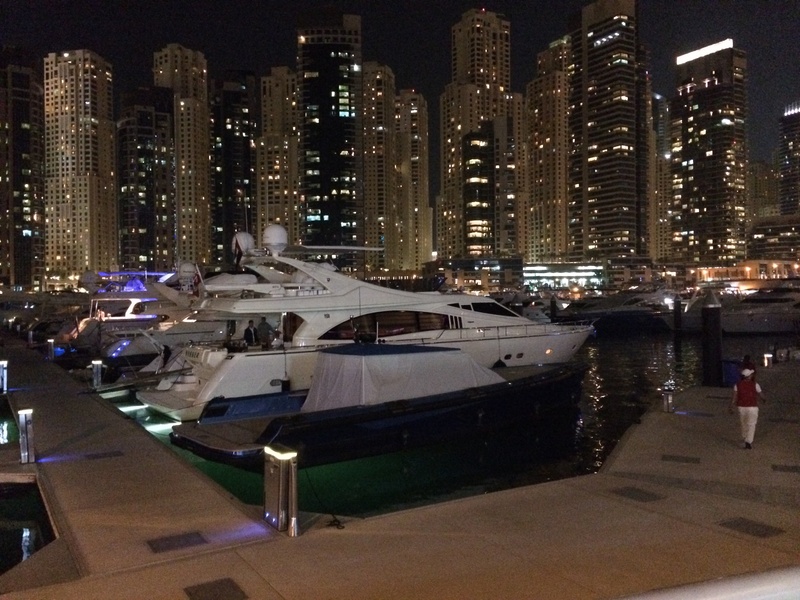 Nasa Marina Walk din ang Dubai Marina Yacht Club where the residents ‘park’ their glamorous and sometimes, over-the-top yachts. Sosyal! The place is really stunning specially at night! 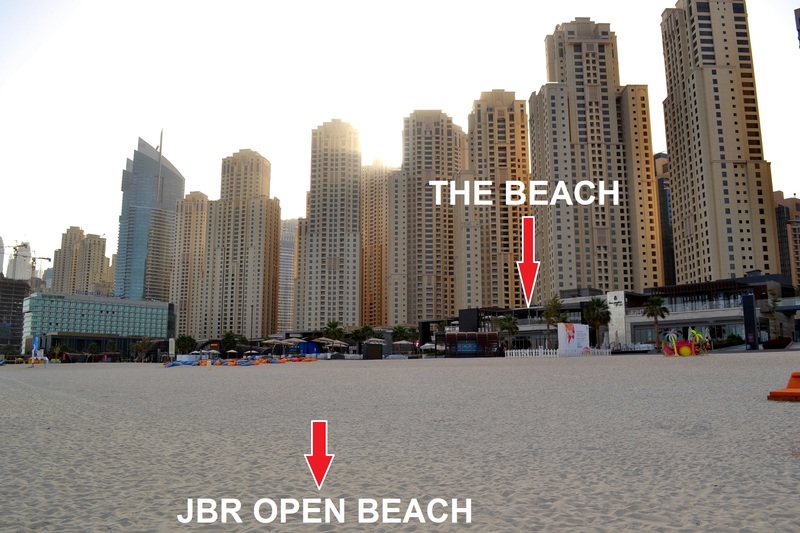 First of all, JBR means Jumeirah Beach Residences. 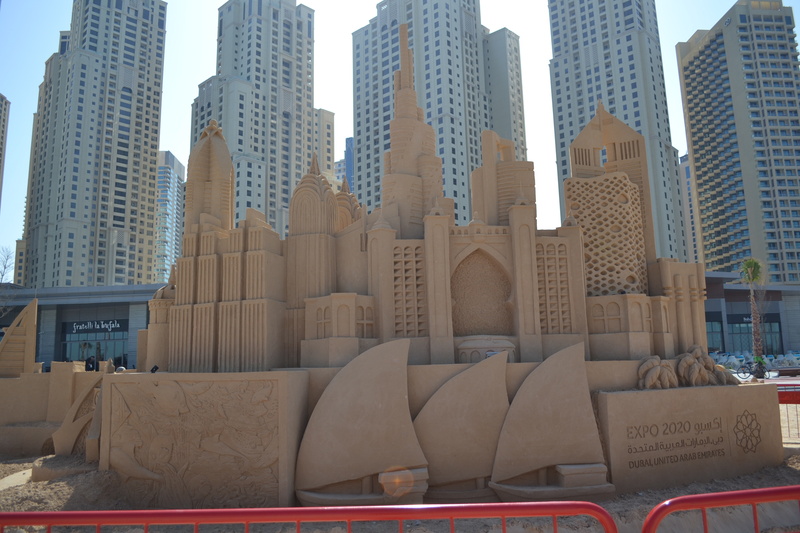 The Walk is a 1.7km long beachfront strip located at the grounds and plaza area of JBR. 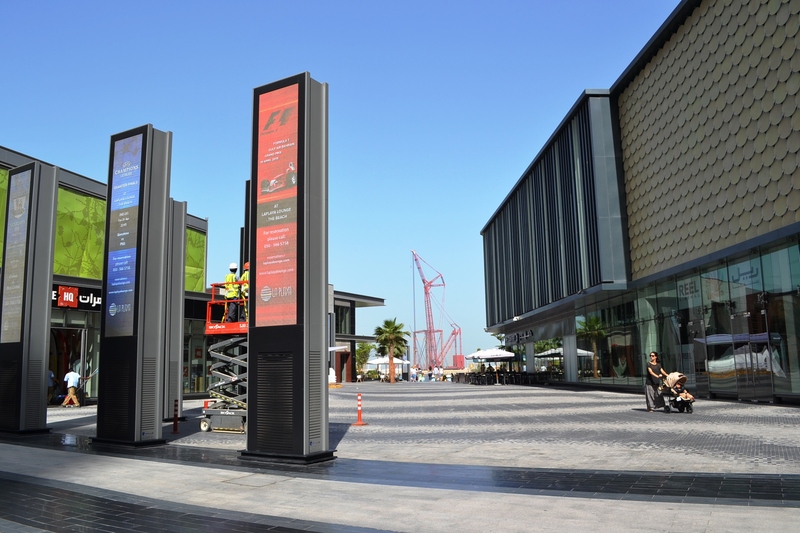 Like Marina Walk, it also offers more than 300 restaurants, cafes, shops, supermarkets, etc. 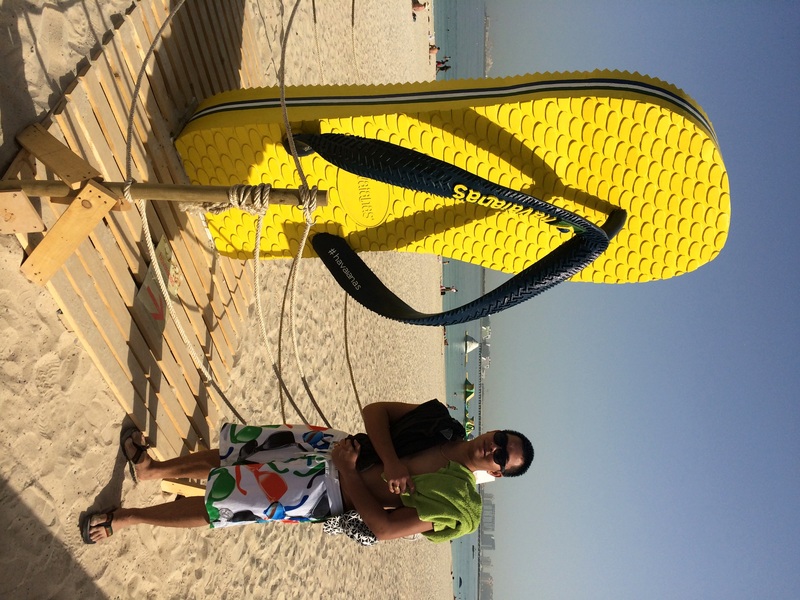 Then recently, Meraas Holding opened ‘The Beach’ to the public which is now one of the more distinct features at The Walk/JBR. 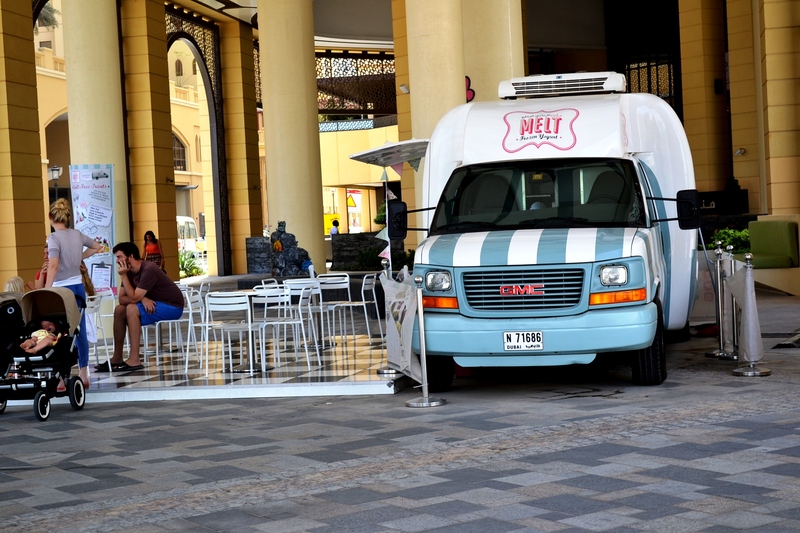 One of the food-trucks at The Walk. 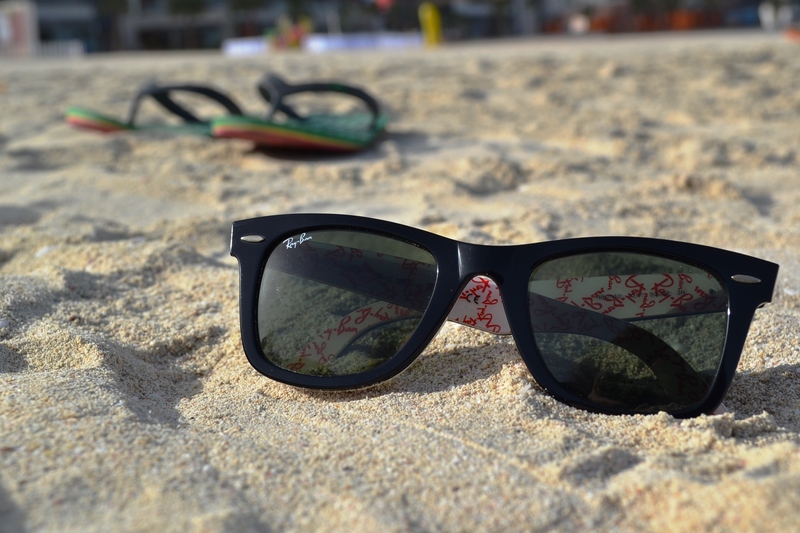 Pero FYI, ‘The Beach’ is not actually a beach. IT IS A MALL. 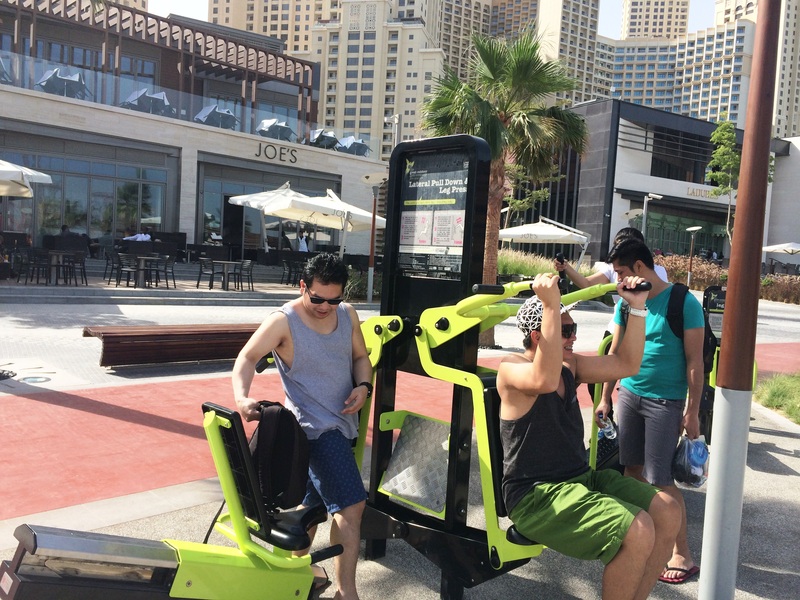 The Beach, located along JBR’s beachfront is a sophisticated outdoor retail complex that houses several food & shopping outlets, cinemas, and other entertainment facilities. 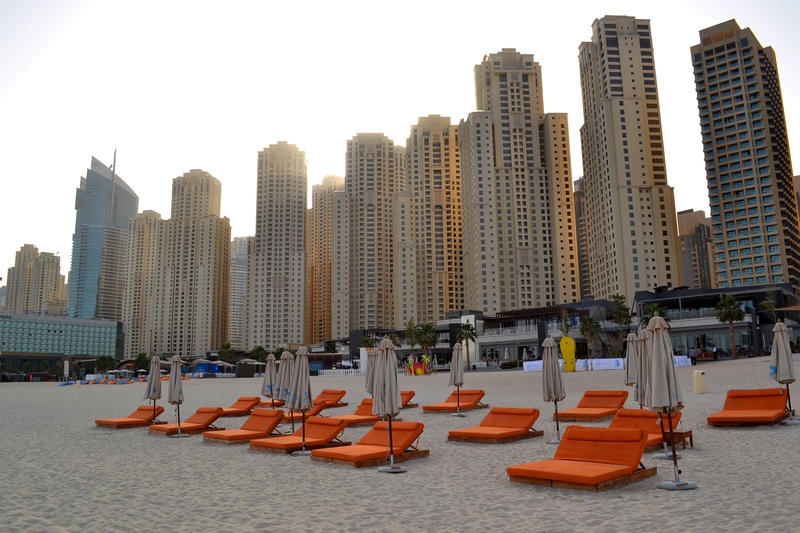 “Sitting comfortably over 300,000 square feet, opposite JBR, THE BEACH is a go-to destination for locals, residents and tourists alike. 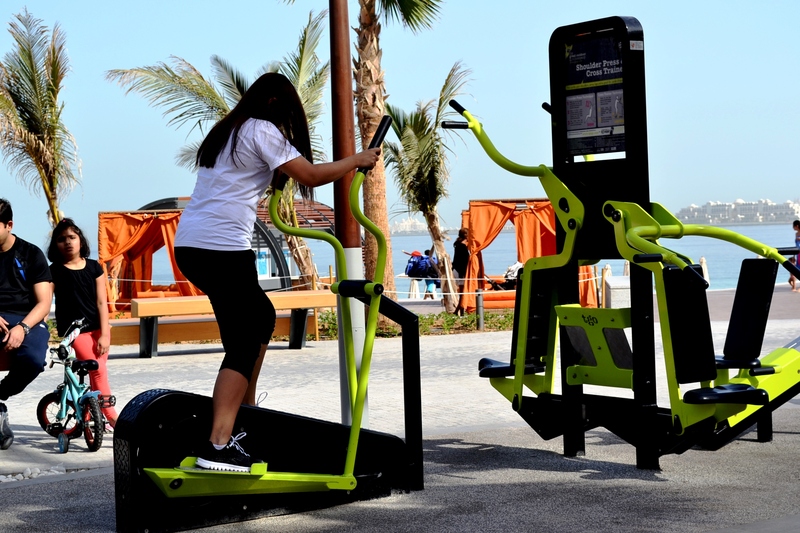 Offering the community a host of outdoor activities, fitness facilities, shops, cinemas, restaurants, a water park and a play area for kids – THE BEACH is the ultimate day out. So hindi pwedeng magswimming sa The Beach kasi mall yun! Nasa tapat nya yung actual beach! 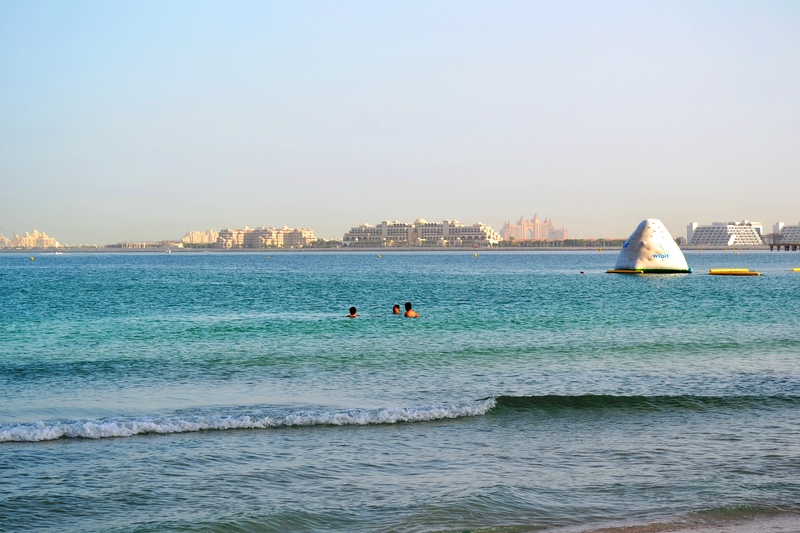 Then we hurriedly headed to the open beach to swim before the sun gets too hot. 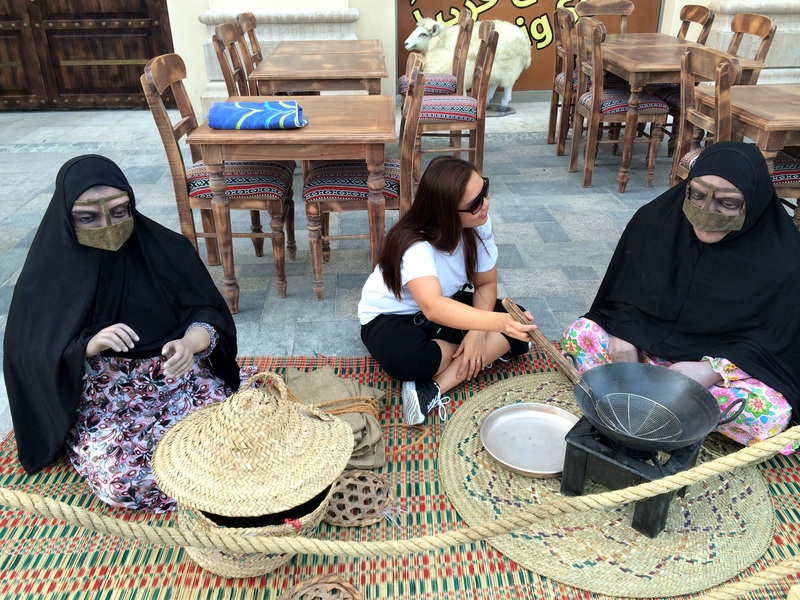 We also wanted to explore the rest of JBR kaya we didn’t waste time. It was so peaceful when we arrived kasi konti palang ang crowd. Tahimik pa and hindi masyadong mainit kaya nakakarelax. It was quite disappointing though because there’s an ongoing construction disrupting the view. Sira tuloy ang mga emo pose nina Chengks at Gino. hahaha Sayang! 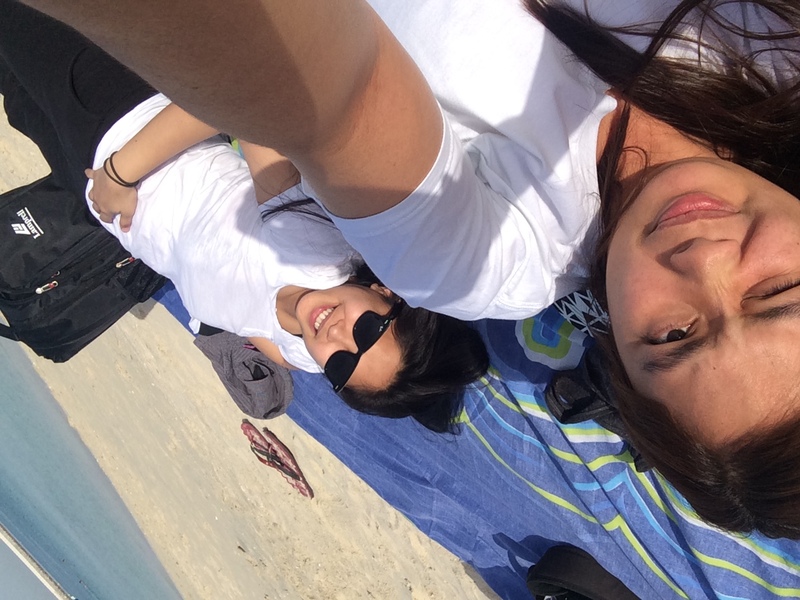 Rence and I initially planned to jog along the beach kaso tinamad kami so we ended up like this. 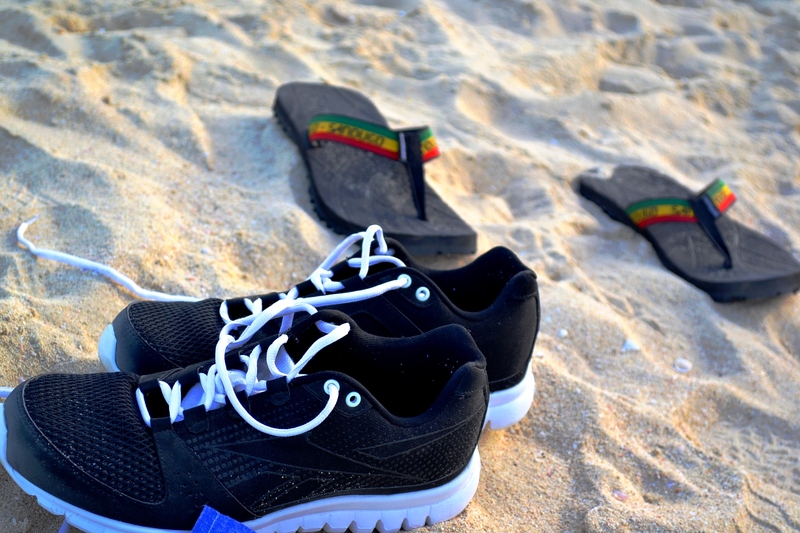 Nag-rubber shoes pa kami kunwari! 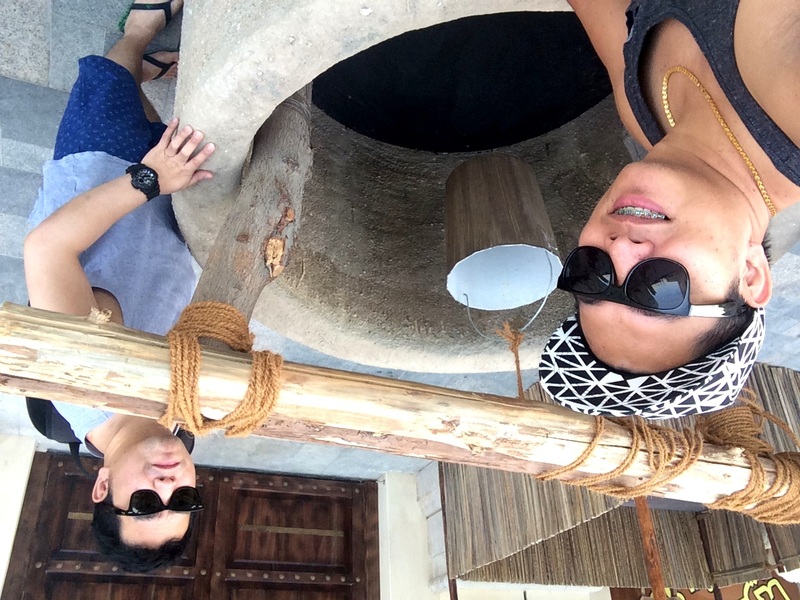 We begged off from swimming na din kasi wala kaming ‘proper’ outfit. We just let the boys enjoy the cold water. Nagkwentuhan nalang kami and people watching. By the way, I admire those people who are comfortable with their own skin. Hindi sila nahihiya or naiintimidate kahit ano pang body type nila. Tayong mga Pinoy kasi ,masyadong conscious. Tsk. This family was doing a photo shoot for their twins’ 3rd birthday. Kainggit! When Rence got bored, nagpractice nalang sya ng photography skills nya. Take a look at some of her shots below. FYI, most of the nice photos on my blog were either taken by her or Ian. Yung mga baliko and blurred lang yung mga sakin. hahaha. When the boys were done swimming, they went straight to the shower areas while Rence and I enjoyed the outdoor training machines nearby. After some time, naki-join na rin sila! 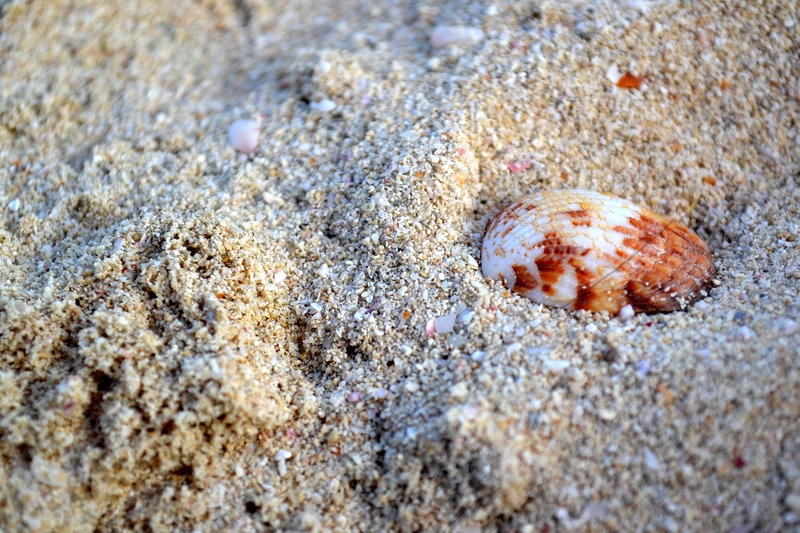 We were all gushing on how much we loved the facilities compared to other beaches we’ve been to. And the best thing? THE PUBLIC CAN USE THEM FOR FREE! Question lang, pwede bang pamatay ng langaw ‘to? 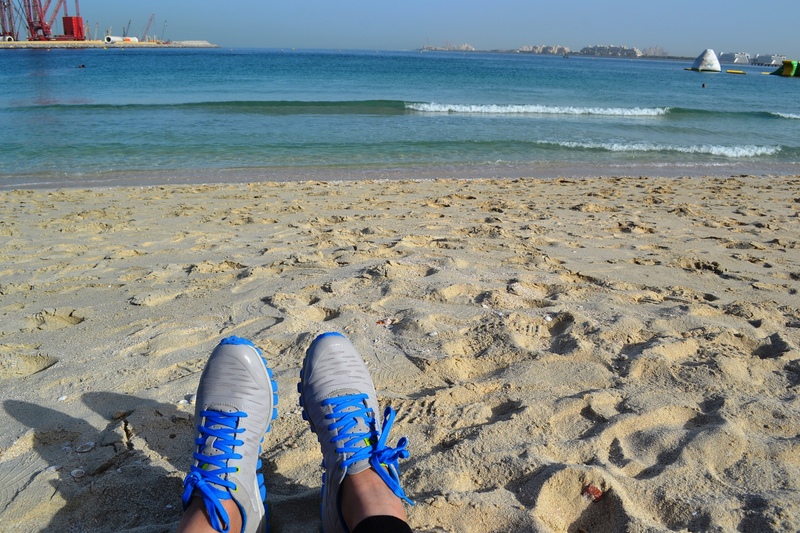 *More of JBR on my next post! 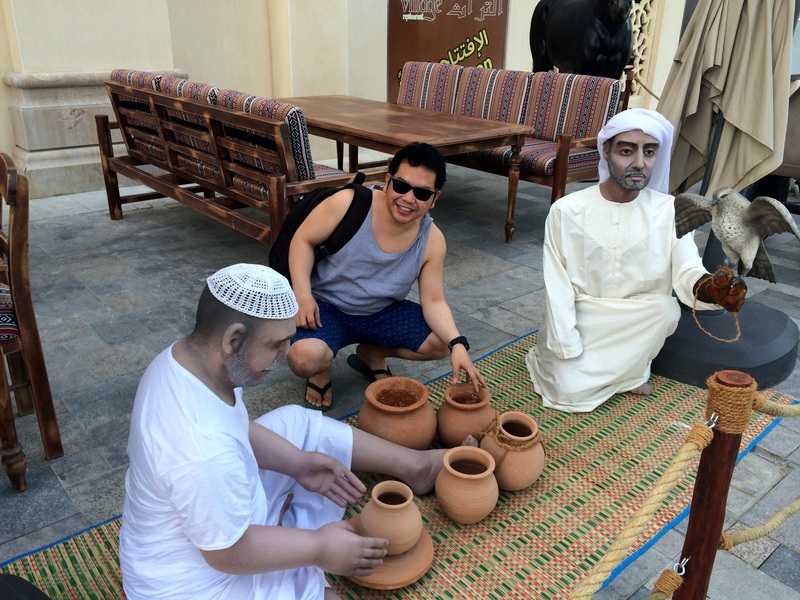 Posted in Dubai, Dubai Guide, Friends, getaways, LoveTagged Dubai Beaches, Dubai Marina Walk, Heritage Village Restaurant, Is Marina Walk same as The Walk at JBR?, JBR, JBR Open Beach, JBR The Beach, JBR The Walk, Jumeirah Beach Residences, Marina Walk, Outdoor Gym at The Beach, The Beach at JBR, The Walk, The Walk at JBR, Where is The Walk?Bookmark the permalink.